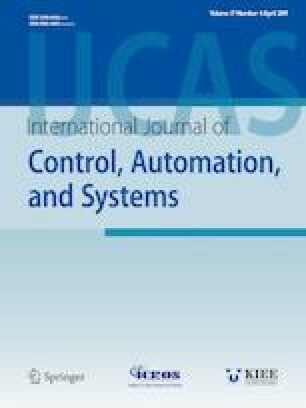 In this paper, the integrated design problem of Fault Estimation (FE) and Fault Tolerant Control (FTC) for saturated systems is considered. The system suffers from input saturation and L2-bounded disturbances. To design an adaptive observer-based FE, the actuator output measurements are not used, when the actuator is saturated, there exist new interactions between FE and FTC. In such a case the separation principle for FE and FTC design does not hold anymore. In this paper, a method is introduced for integrated design of FE and FTC, which guarantees boundedness stability of such a system. To extract sufficient conditions for stability and minimum L2-gain performance for disturbance rejection, the Modified Sector Condition (MSC) is employed for saturation modeling. Also, Quadratic Polytopic Differential Inclusion (QPDI) approach is developed for the comparative study. All conditions are cast as Linear Matrix Inequality(LMIs) that can be evaluated in a single step. In a numerical example, the feasibility of the introduced method for stability guarantee is demonstrated and performance characteristics of FE and FTC in disturbance rejection are compared for both modeling approaches. Recommended by Associate Editor M. Chadli under the direction of Editor Guang-Hong Yang. Mojtaba Hashemi received the BSc degree in Mechanical Engineering from KNTU University in 2008 and his M.S. degree in Dynamic system and control from Sharif Univ. of Technology, Tehran, Iran in 2011. He is currently a Ph.D student in Amirkabir Univ. His research interests include Robust control, Fault Estimation, and Fault Tolerant. Ali Kamali Egoli received the BSc from the Mechanical Engineering Department of Amirkabir University of Technology, Tehran, Iran, 2004, and his M.S. degree in 2006 and the Ph.D. degree in Dynamic system and control from Sharif univ. of Technology, Tehran, Iran in 2011. He is currently an Assistant Professor in mechanical engineering department in Amirkabir univ. His research interests include Robust control, nonlinear control, and fault tolerant control. Mahyar Naraghi received his BSc from the Department of Mechanical Engineering, University of Minnesota, Minneapolis, MN, USA, in 1981, his MS from the Department of Mechanical Engineering, Tarbiat Modarres University, Tehran, Iran, in 1989, and his Ph.D. degree from the Department of Mechanical Engineering, University of Ottawa, Canada, in 1996. He is currently an Associated Professor in the mechanical engineering department in Amirkabir Univ. His research interests are in robotics and control, including both the theoretical and experimental studies.